Comic book movies have been HUGE lately. Their popularity can be explained by both nostalgia and the fact that people love the idea of reinvention. An ordinary person turning into a superhero and defeating a bad guy will always have mass appeal. But on the other hand, villains don’t get much exposition in the story usually. They pretty much just serve as someone for the hero to beat up. Even more, you never see them, no matter how infamous, get their own movie. It’s similar to how no one prays for the devil, according to Mark Twain. 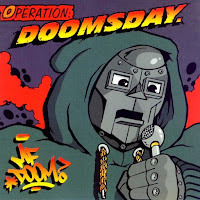 So in the case of MF DOOM, hip hop’s favorite villain, I had to delve into his backstory some more to even things out, telling the story of his solo debut Operation: Doomsday. And what better day than Throwback Thursday to do it? To appreciate DOOM’s emergence, you have to first understand where he came from. He was originally born Daniel Dumile in London and moved with his family to Long Island. 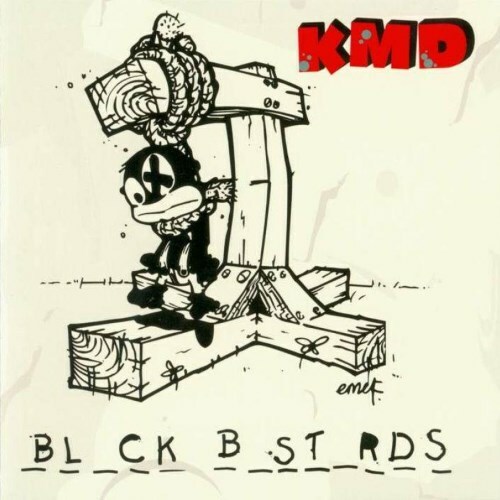 In 1988 he formed the rap group KMD, christening himself Zev Love X, along with his younger brother DJ Subroc. Affiliating themselves with 3rd Bass, they signed a deal with Elektra and released their debut album Mr. Hood in 1991, garnering TV airplay. Like with any other origin story, tragedy struck. In 1993 DJ Subroc was killed on the Nassau Expressway as he tried to cross on foot. 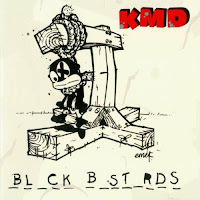 Adding insult to injury, Elektra refused to release KMD’s sophomore album Black Bastards, citing it’s controversial cover art. Both personal and musical tragedy took its toll on Zev Love X. For the next four years, he became something of a vagrant, sleeping on New York benches before moving to Atlanta to regroup. Around 1997 he reemerged in NYC at open mic events, albeit not as Zev Love X. He initially wore a stocking over his head to conceal his identity. This eventually gave way to a metal prop mask from the movie Gladiator which coincided with the new moniker MF DOOM (MF standing for Metal Face.) 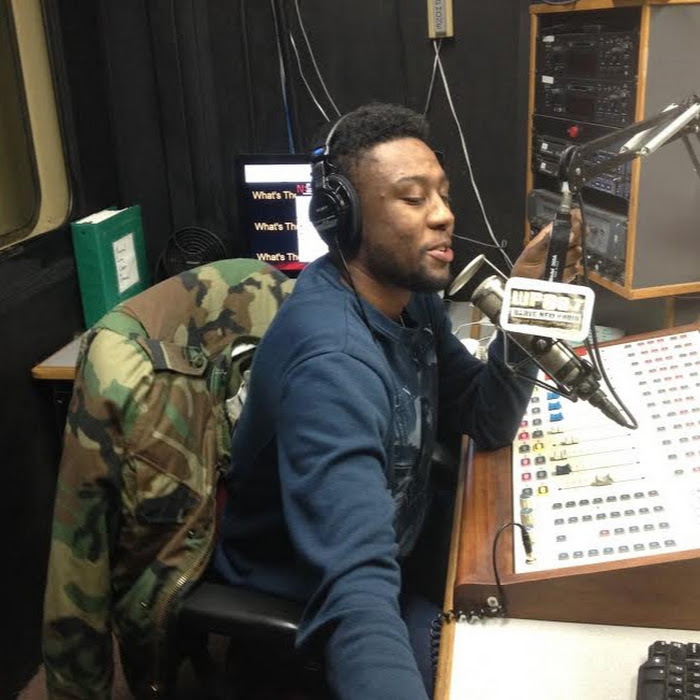 Reconnecting with former KMD affiliate MF Grimm, he started recording his debut album in Grimm’s basement in upstate New York. DOOM struck a deal with Bobbito Garcia’s Fondle ‘Em Records and released a trio of singles. 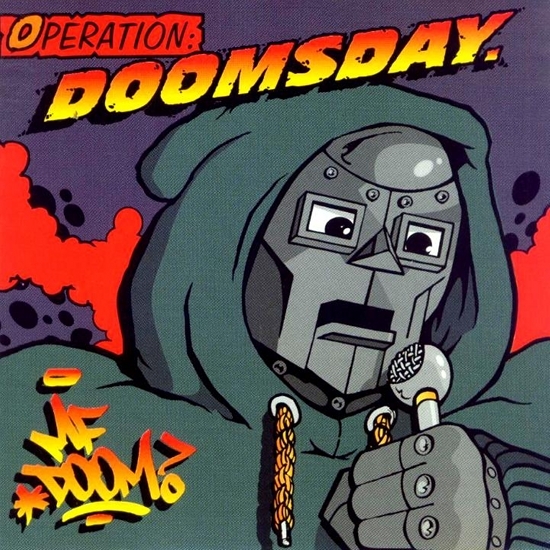 This culminated with the release of Operation: Doomsday in 1999. The album became an underground classic and was reissued several times, usually with new cover art each time. Despite causing a rift with MF Grimm over unpaid royalties from the album, it revitalized DOOM’s career. At this point in hip hop, ostensibly pointless skits were all the rage on albums. Most served no purpose other than having a humorous break between songs. DOOM instead utilized them as the glue that held the album together. Six of the 19 tracks were skits. They consisted of dialogue samples, usually from the 1967 Hanna-Barbera Fantastic Four cartoon, all referencing Dr. Doom. They’re more of a necessity than a nuisance, no matter what any hipster blogs may tell you. This was a stroke of genius, and it’s only the damn skits. The songs themselves are products of their environment for the most part. The entire project was recorded in a NYC basement and all of the tracks reflect a certain unrefined texture that gives the album more moxie than those recorded at million dollar studios. 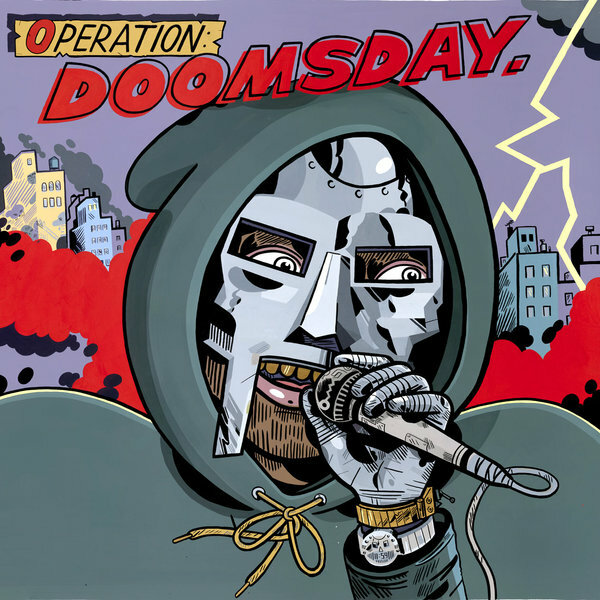 Doomsday may be the most polished of the bunch with it’s R&B intro and outro and smooth beat. It serves a purpose as an introduction to MF DOOM. Other than that, nothing in the album is dipped in any kind of sonic varnish. And just like those nine guys based in Staten Island, there’s a beauty in the coarseness. Go with the Flow is a good example of this. Whether car stereo or headphones, its scratchy vocals are packed with as many references as DOOM can fit in. You also see the birth of his off-kilter flow as he’s more concerned with what he says rather than how he says it. He even experiments with tempos within the song on Tick Tock, which features Grimm. To fathom the depth of DOOM’s story, contemplate this. He could have easily faded into obscurity after the death of his brother. Aside from his work with KMD, he’d be nowhere. There would be no Operation Doomsday or other solo records. The Monsta Island Czars wouldn’t have formed. The extensive Special Herbs series wouldn’t exist. He wouldn't be able to create spinoff alter egos in King Geedorah or Viktor Vaughn. Any of the collaboration albums he made (DANGERDOOM, JJ DOOM, MA DOOM, NehruvianDOOM, and the crown jewel Madvillain) would never come to be. It took an incredible resolve that was honed after tragedy and professional disappointment to make MF DOOM one of the greatest champions the underground has ever produced. And it all started with his debut. Give the villain his just due and you’ll see more depth than the hero. Really I could write a damn book on any song on the album; those aforementioned are just a handful of my favorites. 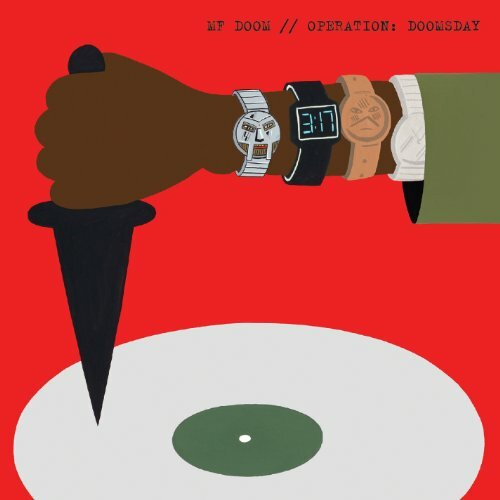 Check out Operation: Doomsday for yourself and pick your own favorites for years to come.